As I'm sure you can tell by the title, this post is going to be holding my YouTube giveaway! 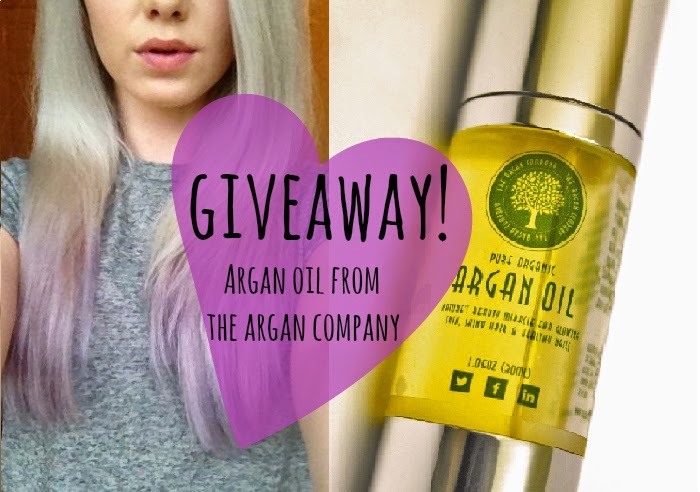 The prize is a 30ml bottle of argan oil from The Argan Company! If you would like to enter please read the details below and watch the video on YouTube, also below, if you haven't already. This giveaway is UK only and will run for two weeks, starting from 23/04/14 at 12am and ending on 07/05/14 at 12am. The winner will be announced on 08/05/14 by Twitter DM only. To enter, please use the Rafflecopter below! You MUST be subscribed to my channel on YouTube and following me on Twitter, all other entries are optional but give you a higher chance of winning!